The gatehouse renovations are progressing. We need your help. We depend on your generosity to make our plans a reality. Please consider making a generous contribution to our renovation projects. 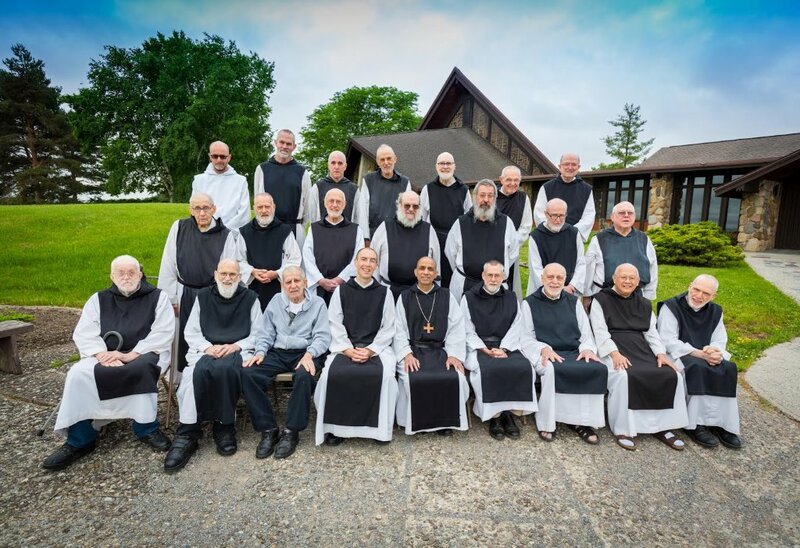 The Abbey of the Genesee is home to some 30 contemplative monks belonging to the Order of Cistercians of the Strict Observance also known as Trappists. Founded from the Abbey of Gethsemani in 1951 monastic life at Genesee is made up of a balanced daily round of prayer, lectio divina and manual labor in an atmosphere of simplicity, silence and fraternal support. The natural beauty, silence and solitude of the verdant Genesee River Valley so conducive for the contemplative life provides an ideal location for the monastery. The following pages will provide you with more detailed information about our life including who we are, our daily schedule of liturgical prayer and work, vocational and travel information, news updates and homilies. You may also be interested in visiting our Retreat House facilities pages and our On-Line Store pages by following the links at the bottom of this page. Thank you for visiting us. If you have any questions or concerns, for further information, or to report problems with these pages contact us.